Graphing radical equations is probably the first time you'll have encountered the need to consider the domain of the equation before you graph. This is because you cannot put a "minus" value inside a square root. In addition to keeping track of the domain, you will also need to graph very neatly, or you could easily get most of your graphs at least partially wrong. 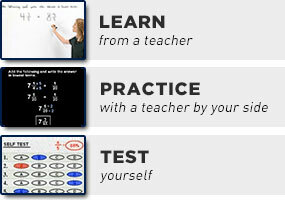 Since "graphing radical functions" usually means "graphing functions involving square roots", most of the examples in this lesson will deal with square roots. Now I know that I shouldn't pick any x-value that is greater than 3 for my table of values (often called a "T-chart"). 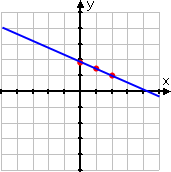 And I also should not try to draw anything on my graph to the right of x = 3: if I can't have any x-values past 3, then I can't very well have the graphed line go past 3. In contrast to the above, I'm going to take the time to respect the domain of the function. I'll also take the time to pick not only more x-values, but also more-useful x-values that will give me nice neat points for plotting. 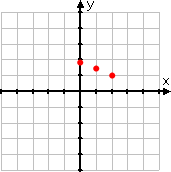 I'll also be sure to include the end-point of the graphed line, being the boundary point given by the "x ≤ 3" domain. You should expect radical functions to graph as curved lines. Do not try to put a straight line through these points. You should also expect radical graphs to be much wider (that is, stretched out, side-to-side) than they are tall. Be sure to use adequate space on your paper for a good graph. You saw, in the above example, how I was careful to pick x-values for my T-chart that gave nice neat y-values. This is not required, nor is this even always reasonably feasible. But it can make graphing much simpler so (especially if you've got a graphing calculator that can do a table of values for you) it can be worth the time to be sure of your plot points.